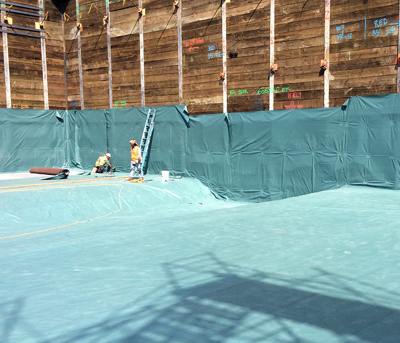 Because bentonite clay swells upon contact with water, it makes for a naturally powerful, self-sealing waterproofing material for below grade applications including, freestanding walls, under slabs, split slabs, tunnels, elevator pits, and blindside applications incorporating lagging, caissons, sheet pile, and shotcrete retention systems. 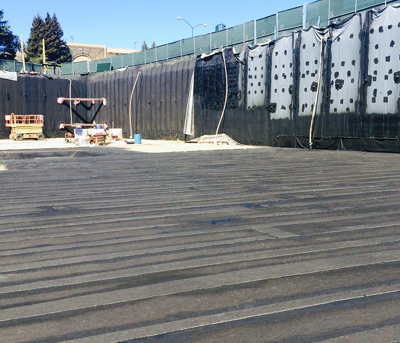 EPRO manufactures a multi-layer bentonite sheet waterproofing system – Bento-Pro Plus, in addition to offering 50 lb. bags of bentonite granules. 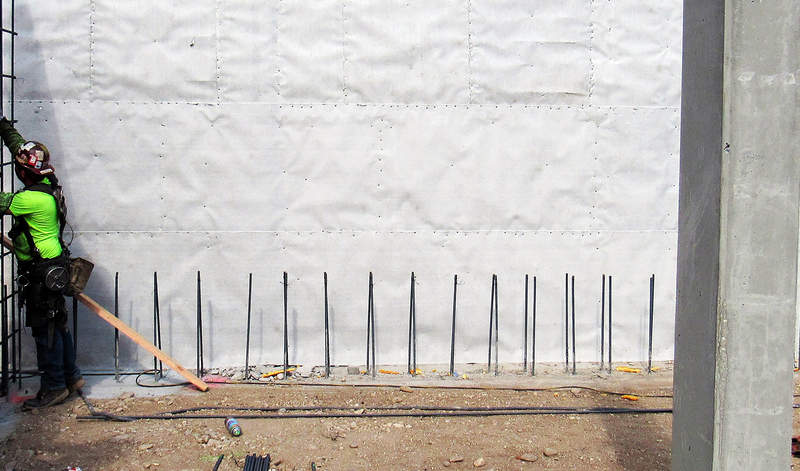 Bento-Pro Plus consist of a layer of granular bentonite laminated with impermeable high-density polyethylene film and non-woven polypropylene. 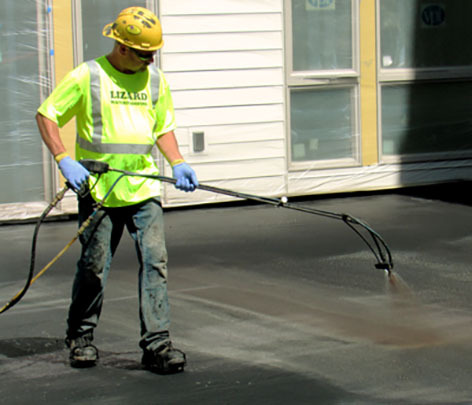 This composite design produces a high-performance, tough, self-sealing, and vapor impermeable water barrier capable of withstanding inclement weather, hydrostatic conditions, and other factors encountered in today’s construction industry.